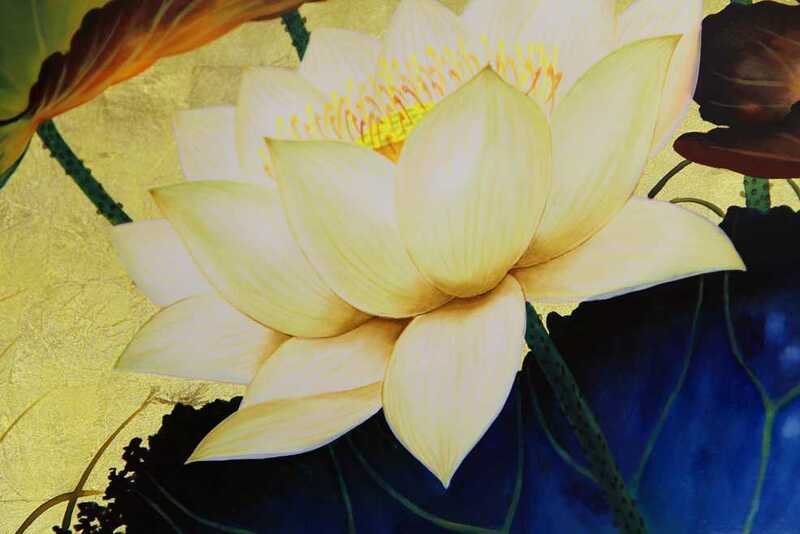 Size: 28"x28" Beautiful picture of white lotus on golden lacquer. The painting is mounted on the back and ready, no frame needed. 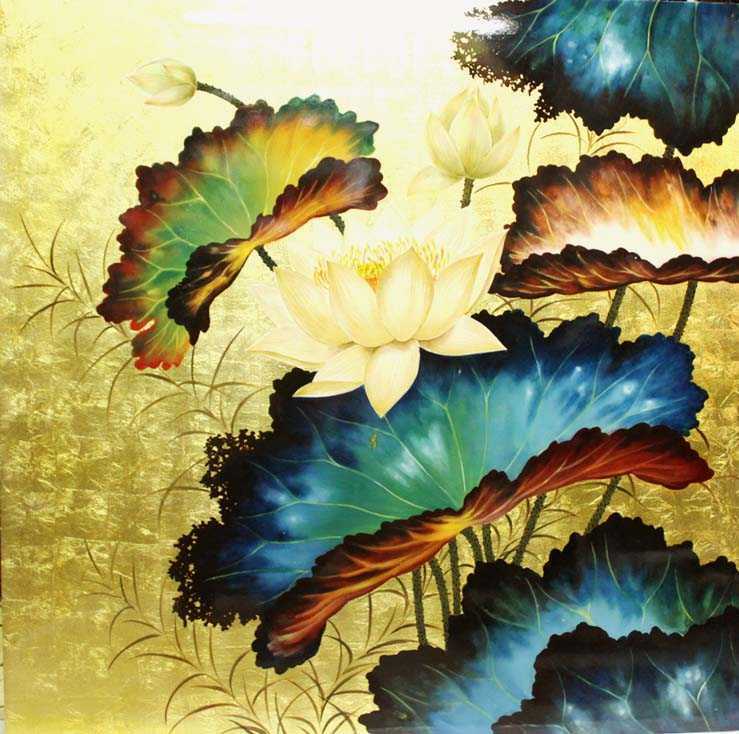 Lacquer art: hand painted on wood , made in Vietnam.